This was David's first sight of the fabulous Phoenix and the beginning of a pleasant and profitable partnership. 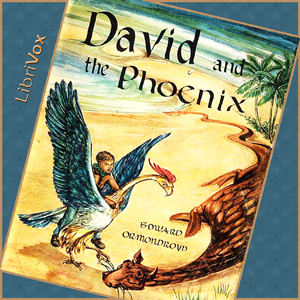 The Phoenix found a great deal lacking in David's education -- he flunked questions like "How do you tell a true from a false Unicorn?" -- and undertook to supplement it with a practical education, an education that would be a preparation for Life. The education had to be combined with offensive and defensive measures against a Scientist who was bent on capturing the Phoenix, but the two projects together involved exciting and hilarious adventures for boy and bird.